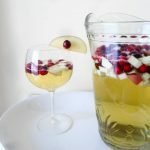 This Cranberry Apple Sangria recipe is a delicious cocktail made with white wine, fresh fruit, and apple cider. 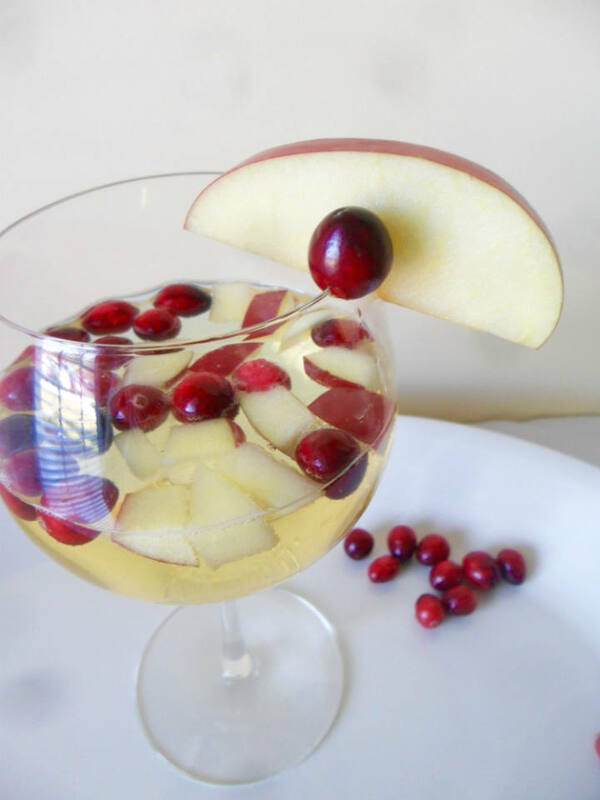 Perfect for Thanksgiving or any fall celebration! I’m currently downing green tea like they’re $1 well drinks on a Thursday night in college, and trying to kick this plague that has hit me for the SECOND time already this season. A bad track record for the girl who never gets sick. The perks of cooking with kids for a living. And I need to boost my immunity so I’ll be in the best shape possible to wrap my old lady hands on my first Thanksgiving turkey in almost 10 years. TA-EN YEARS. 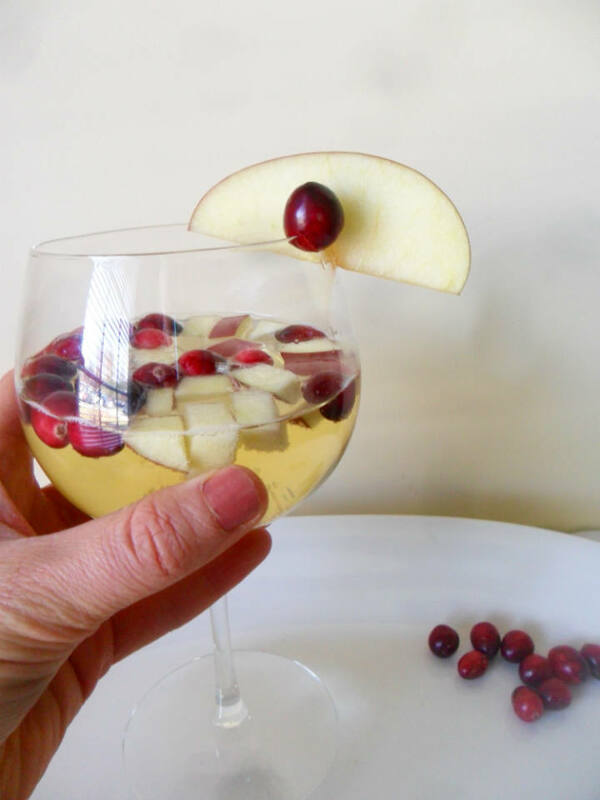 That calls for a festive cocktail! I strongly believe there is a sangria for every season (especially summer). Or at least that’s what I use as an excuse to make one for every occasion. I’m all for eating seasonally, and look at that, now I’m even drinking seasonally. I’m such a locavore hipster, I ate crab apple jelly before you even knew they were edible. But no hard feelings. I want everyone to get boozy during the holidays equally as much. 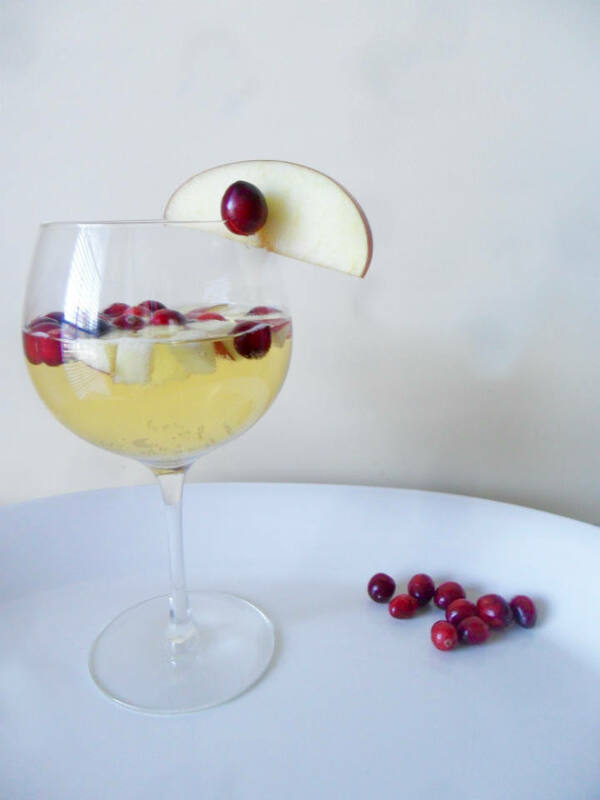 Nothing goes together quite like waking up from a turkey coma power nap with a cranberry apple sangria hangover. ‘Tis the season! Buy inexpensive wine: No top shelf wines need apply here. Since this is mixed, buying a more affordable bottle of pinot is fine. Shop the sales: Any apple will work for this recipe. Use whichever apple is on sale that week. 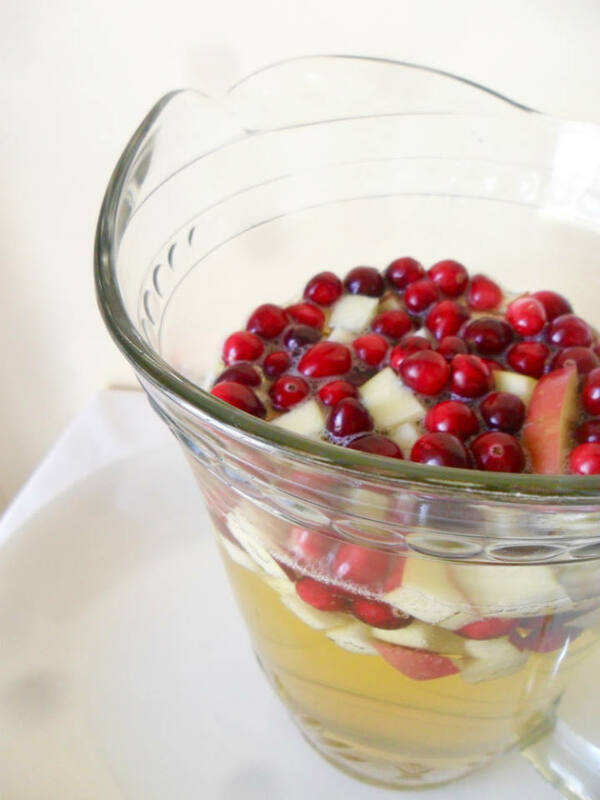 Add chopped apples and cranberries to a large pitcher. Pour in wine and cranberry juice. Stir to combine. 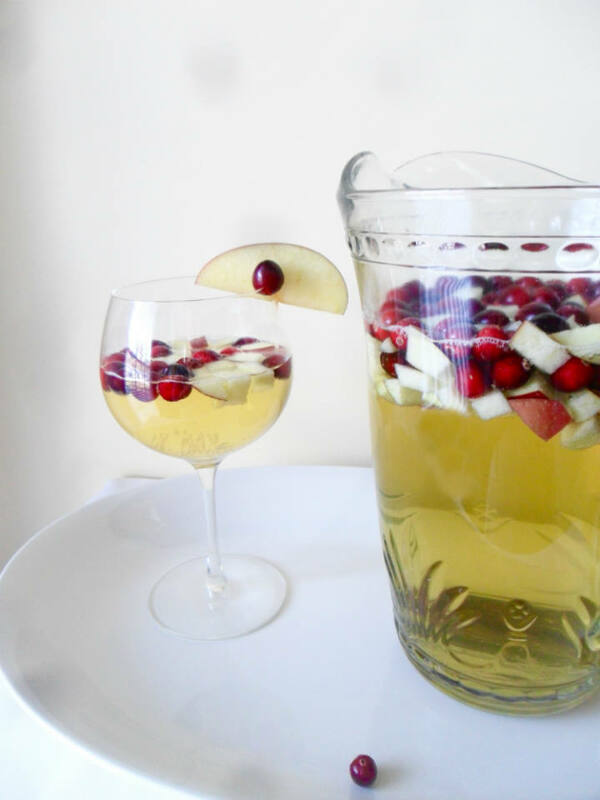 Just before serving, add sparkling apple cider to pitcher. Top with ice if needed. Hell, you could even add a splash of rum and really get the awkward family holiday juices flowing. Let me just say, I will never see the song “Hand Jive” and my Nana in the same light ever again. Pin this recipe to your Cocktails board! Staying home or traveling for Thanksgiving? Yum!!! My mom’s side of the family doesn’t really drink, but I could definitely see this being made for my girls weekend in december! Also, start feeling better!! Thanks love! Need to get out & see you and Em real soon! 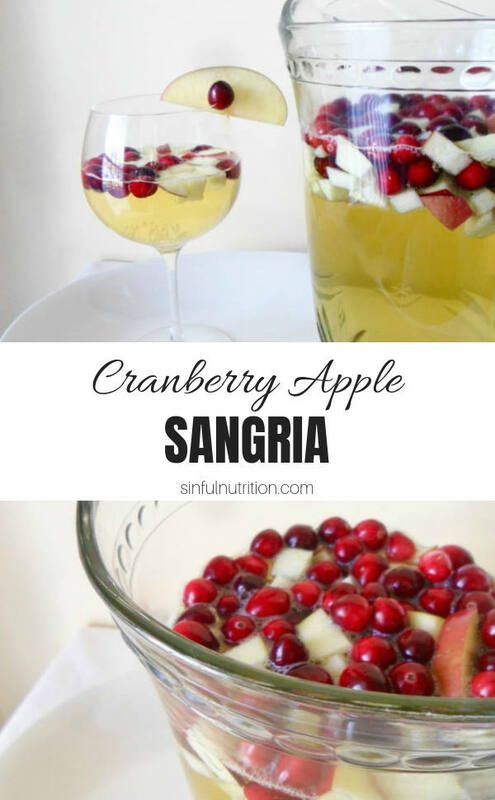 A sangria for every season… I love it! This looks fabulous! Nothing starts a season quite like a sangria. Thanks Sonali! Why did I see this just now? My guests would have love this and I would have saved money too. I need to try this out next party at my house.